When someone visiting North Sumatra, of course their premier tourist destination is the Lake of Toba. Sipiso-piso waterfall is located on the edge of Toba Lake, unfortunately a very interesting tourism object is less visited by tourists because it's in a different edge with Parapat (Or usually called prapat) town, where tourists usually visit. 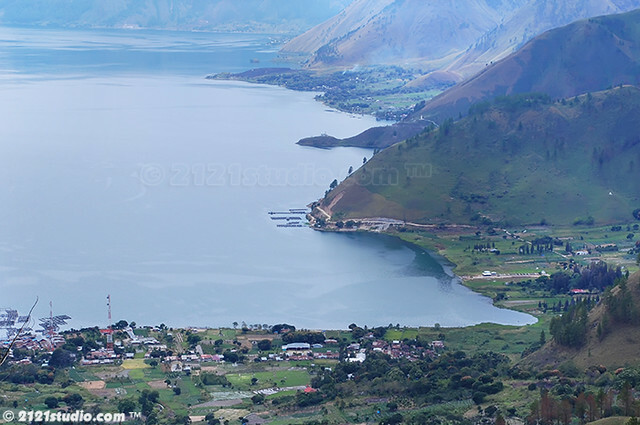 Sipiso-piso located in the north of Toba Lake, about 24 kilometers from Kabanjahe. 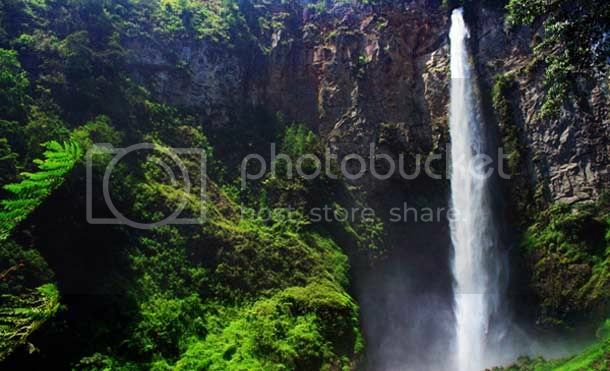 This waterfall is the highest waterfall in Indonesia with an altitude of 120 meters. Sipiso-piso waterfall come from an underground river in the Karo plateau that runs through a cave in the side of the crater of Toba Lake. When I had the opportunity to visit this place, the scenery was incredible. Small and high waterfall fall between green cliff. From the observation post built by the government, the visitors can enjoy the scenic of the waterfall and also Toba Lake. Sipiso-piso waterfall is about 800 meters above sea level. You not only can see the waterfall from a distance, but you can go down to look closer. The stairs are precipitous and far enough away so make sure you have a strong stamina and bring drinking water supplies. When you go down, it may not be a problem, of course it is quite tiring if you pass the hundreds of stairs to climb back after playing in the water under. After you waste your time at that place, it's time to take a rest in Tongging Village. Tongging village located on the edge of Toba Lake, in the north. In Tongging you can perform a variety of activities, such as swimming in the lake, trek in the jungle, or visit one small waterfall called Sidompak. You can go up to Mount Sipiso-piso, and Paragliding from the summit. Besides swimming, you can also take a boat hired from local fishermen to get around the lake. Cycling from one village to another is also a fun activity to look the daily activity of Karo Society. For you fans of ethnic clothes, you can go to Silalahi village in Sabungan, Dairi. The village is located about 11 km from Tongging. If you are in Medan City, the capital city of the north Sumatera province, you have to travel about two hours by bus or to go into Kabanjahe, the mother city of Karo regency. Kabanjahe located in the south of the famous tourism object named Berastagi. Every 45 minutes, the kabanjahe route bus is dispatched from the terminal center of Medan city. The fare of the bus depends on the bus you choose. If you choose the economic class bus, of course, this is the right choice because it's very cheap. 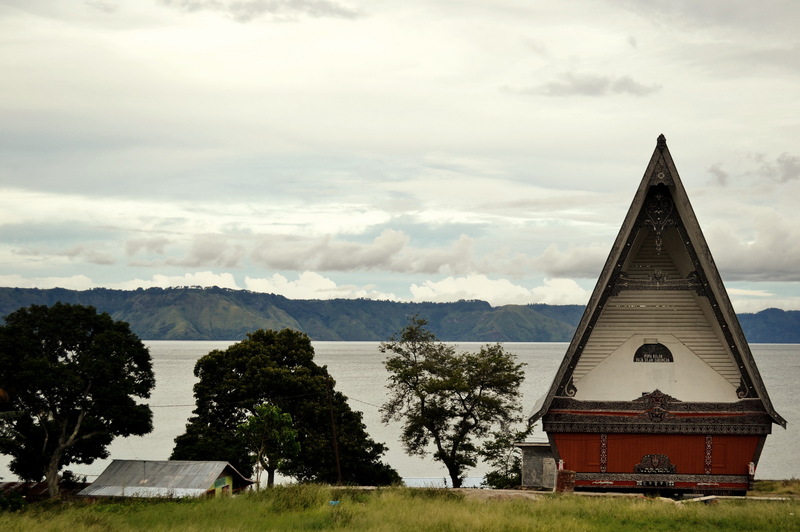 After you arrive at Kabanjahe, you have to travel about 24 km to the north, the way to Toba Lake. By the good road quality, you can arrive in Tongging Village to traveled in Sipiso - piso waterfall in 30 minutes by using a car or bus.